5 Day Breakfast and Lunch in Phoenix - Take the Weekends & Holidays Off! Are you looking for a simple restaurant to own and operate where you'll have weekends and holidays off? If so, then take a look at this cozy, office center breakfast and lunch spot that's been in continuous operation since 1989 and the current owner has operated it since 2003. 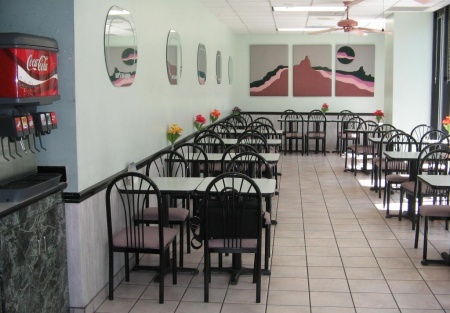 This restaurant is beautifully maintained and fully equipped to service the busy morning, lunch and afternoon snackers. This restaurant has plenty of inside seating as well as a nice courtyard patio. If you're a hustler, you'll be able to increase sales by knocking on doors and offering take-out and catering for the local offices. And you want low rent too...currently the landlord has reduced the rent to a low $900 a month which includes a portion of utilities. One of the major tenants move sometime ago, so some day that space will be filled and you'll be looking back at what a steal this business was at the current asking price. After seven years in this business, the seller is tired of it and wants to move-on. Great potential for a new owner to build on an a established clientele. Be in business immediately.